In many cases, people who are not prepared make very common mistakes after being involved in a Car Accident. These errors can be very costly and may harm their chances of being somewhat compensated by the other driver or insurance company, even when the fault lies solely with that driver. By knowing what steps to take and what mistakes to avoid, could save you hundreds or thousands of dollars in damages. 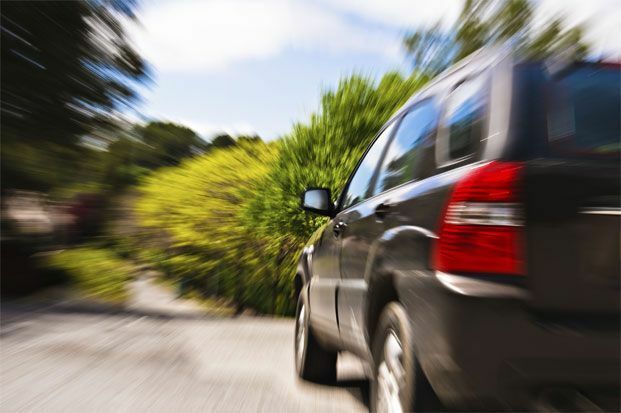 A car accident can lead to potentially serious injury. If you were in an accident due to the negligence of someone else, you might be entitled to sue. Not Calling The Police: A police report is an objective record of what took place in the accident. The police report will attest to what happened which will prevent the other driver or witness from making false claims. If you or someone else in the car accident suffered a potential injury, there would need to be valid documentation, especially if a lawsuit is going to be filed. Admitting Guilt: When you are discussing the accident it is important not to admit fault or say "I'm sorry." Admitting fault can be used against you at a later time when you are attempting to collect damages to your car or injuries that occurred in the accident. Even if you believe you were at fault, you may be incorrect, there is no way to know all of the details surrounding an accident, especially under the stress and shock that arise immediately after the impact. Not Exchanging Insurance Information: If you are in a car accident, regardless of how minor it may appear, do not fail to exchange insurance information. Even if you think there is no damage, and nobody seems to hurt, you may not know what could develop later. You need to get the name, address, phone number, license number, insurance information, license plate number, and the make and model of the other drivers vehicle. This is what will be used if you are going to seek any legal help. Not Taking Pictures: If it is possible, take photos of the scene of the accident, damages to both cars involved, the condition of the road, and the position of each vehicle that was in the car crash. If there are any disagreements on how the accident occurred, you will have documentation to help support your claim. Not Contacting The Insurance Company: If you fail to notify your insurance company after an accident could prevent you from recovering property damage and any costs associated with your injuries. Make sure to seek legal advice before giving the insurance company any written or recorded statements about the accident. Not Receiving Timely Medical Treatment: After a car accident, you will want to seek medical treatment as soon as possible. Even if you think you are fine, it may be difficult to tell the type of injuries that you have sustained. When the body is in shock, you may not feel the pain until later. It is important to have your injuries diagnosed as soon as possible if you are going to be pursuing an auto injury claim. Trusting The Insurance Company: Sometimes after an accident, the insurance company's interests are not aligned with yours. Often they will try to find ways to avoid paying anything at all. They may even attempt to prove that you were violating the terms of your policy so they will not have to defend you or pay your legal bills. This is not always the case, but you should not automatically assume that they will be acting on your behalf every step of the way. Not Understanding Your Rights: Many people are unaware of the types of expenses and damages they can seek compensation for after a car accident. Damage may be claimed for property loss, medical bills, pain and suffering and lost wages. It is important to understand what the law is in regards to when you can sue or be sued, and whether the other party did something to give rise to legal damages. Finding the right attorney will ensure that a company does not evade responsibilities and can negotiate with the insurance company in case they fail to cover a specific bill. Not Contacting A Car Accident Attorney: If you or someone else was injured, a car accident attorney might be able to help protect your rights. Most Personal Injury Attorneys offer free consultations so you can find out whether or not they will be able to help you or not. Waiting Too Long To pursue A Claim: There is a very limited amount of time set for you to pursue a claim after a car accident. Depending on the facts available, you may need to take action relatively quickly. It is always best to contact an attorney as soon as you can, for the attorney to ensure that your right to pursue a claim is properly protected. At Arrowhead Clinic, we specialize in treating Car Accident Injury victims in Georgia and Tennessee. Not only are we experts in treating the injuries associated with Car Accidents, by using Chiropractic and Medical Doctors, but we also take care to provide the proper documentation of injuries, detailed narratives and daily reports the insurance companies and Attorneys need for the proper resolution of your claim. Click on the link below for a free consultation with our team of Accident Injury Doctors or if you need a referral to an experienced Personal Injury Attorney.